A business continuity plan is one of the most important yet the least expensive insurance scheme for any business. It ensures the continuity of the business activities even after the occurrence of any sort of disaster.You may also see Plan Templates. When you are creating a business continuity plan then starting it with something positive is important. 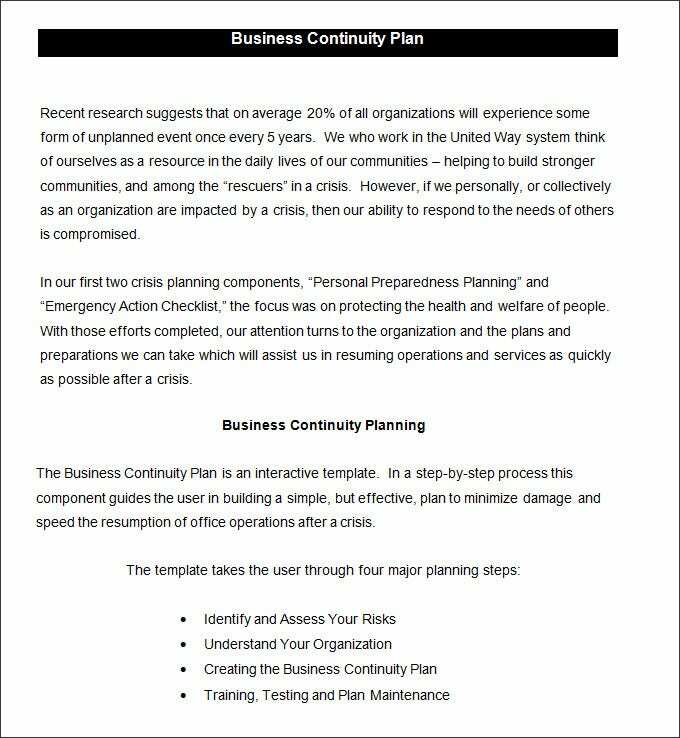 Business Continuity Plan Example starts with how businesses continuity planning is important thus making the situation not look like a crisis. 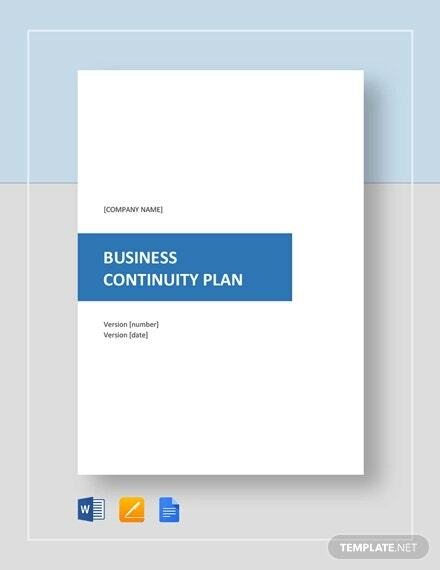 Business Continuity Plan Sample of a business continuity plan has within it an introduction that talks about the phenomenon. After the introduction comes the part where you actually start planning ahead for the future. A flowchart can make any boring and official information or detail look more interesting. 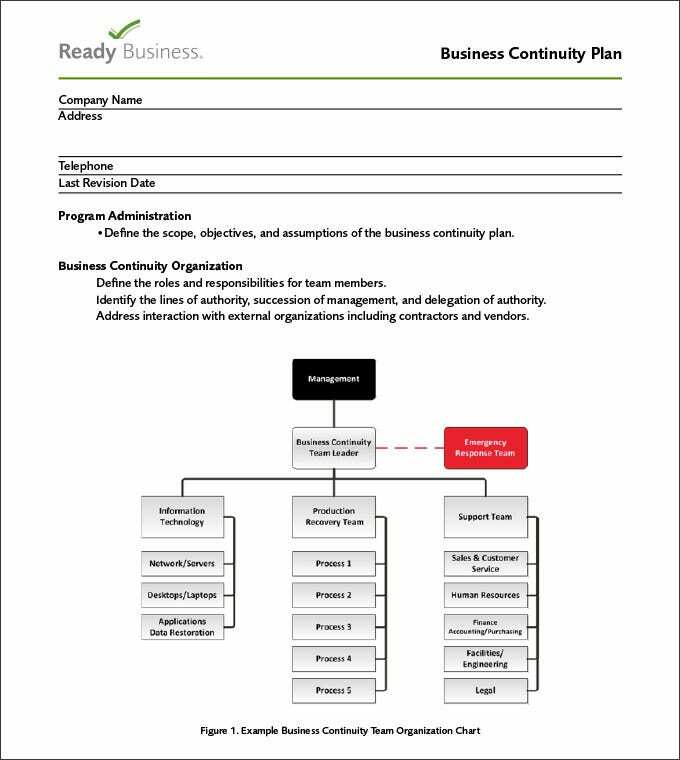 Business Continuity Planning Template format makes use of flow charts making it easier to understand and plan using. When it comes to business continuity planning it is important to have the program management planned as well. 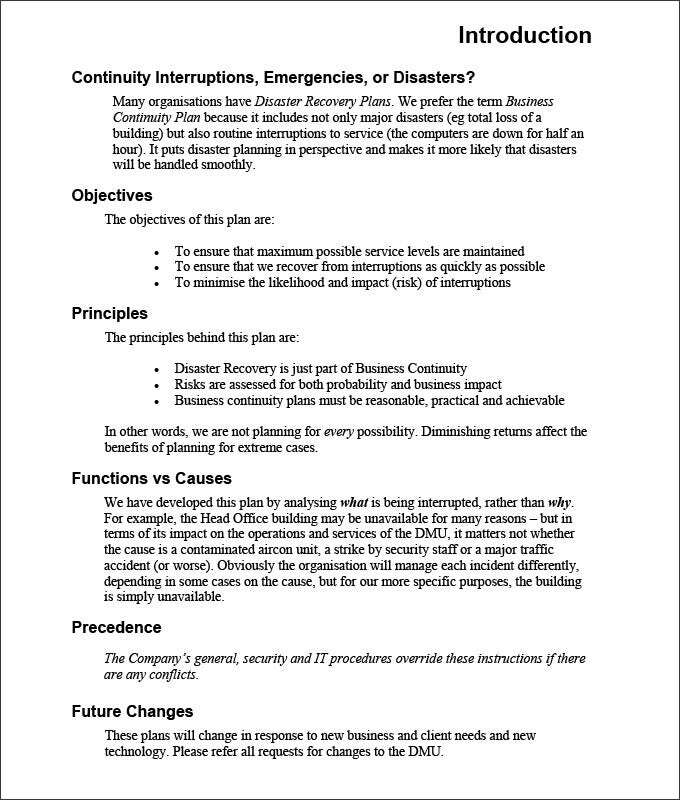 Example of such program management can be seen in Business Continuity Plan Template Free sample. Having clear points to follow can help you tide over difficult times with greater ease. By following Simple Business Continuity Plan Template you do not have to deal with the jumbling of points and an unclear plan of action. IT Business Continuity Plan Template format is divided into various sub parts. 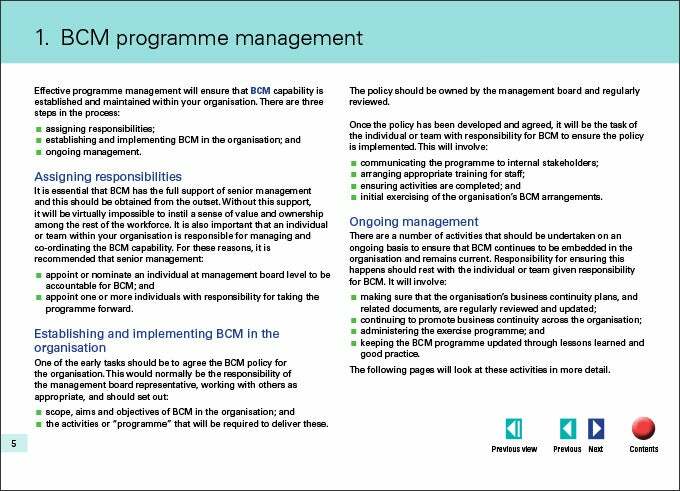 From objectives to future changes, this template does not leave scope for any area to remain uncovered while creating a business continuity plan. Every business is a team effort. When you decide to use any of the free business continuity plan templates, make you use include a list of the staff or employees that are assigned in job-designations which are crucial to the continuity of business. The template must include their names along with the names of employees that can fill in incase the former go on leave or quit. 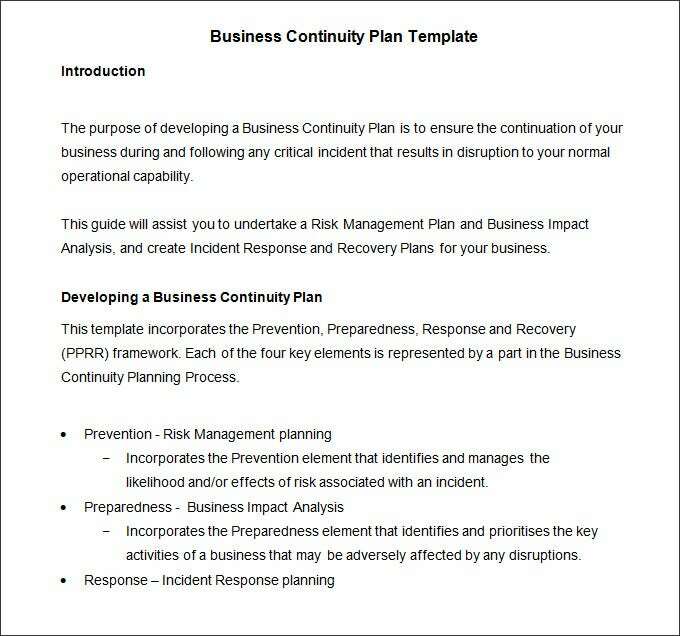 You can use Free Business Continuity Plan Templates. Write a list of the most important equipment and the most loyal and important vendors and suppliers your business has using the Business Continuity Plan Templates. In this section, it is also crucial that you find where you would hire equipment in case of disaster. Here, you are also required to create backup for all your data in a place outside of the office premises. From your list of employees, you will be able to know who can work from home and who cannot. You need to find an area that is small yet comfortable for the employees who are crucial and cannot work from home. 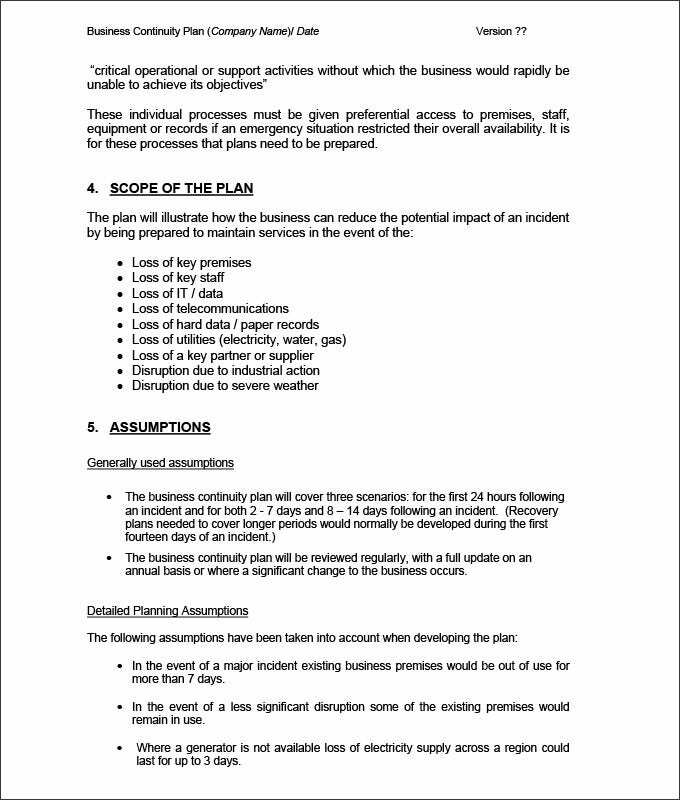 Use the Business Continuity Plan Templates to list how the responsibilities will be handled in the case of a disaster. Write who take up what responsibilities and what happens, step- by- step. This is a sequence of how your [business continuity plan] will be executed. 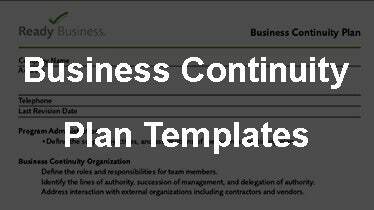 See more: Download Business Continuity Plan Templates, Work Plan Templates Download If you have any DMCA issues on this post, please contact us! Bar Business Plan Template – 10+ Free Sample, Example, Format Download!